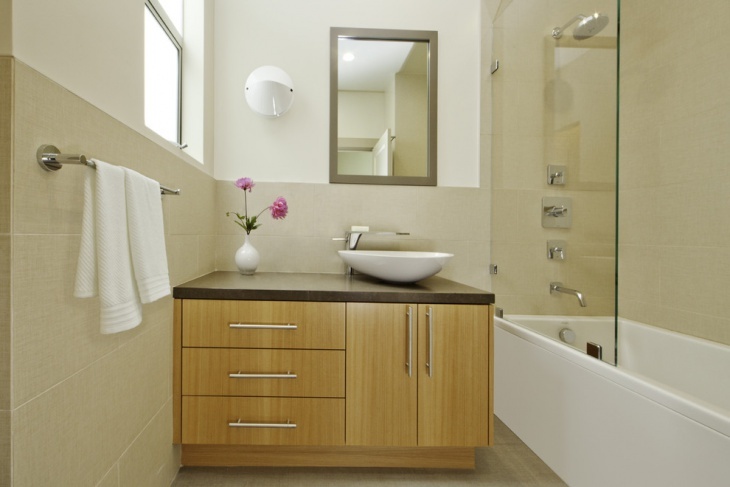 Bathroom Base Cabinets are some of the most attractive furniture that you can install in your bathroom. 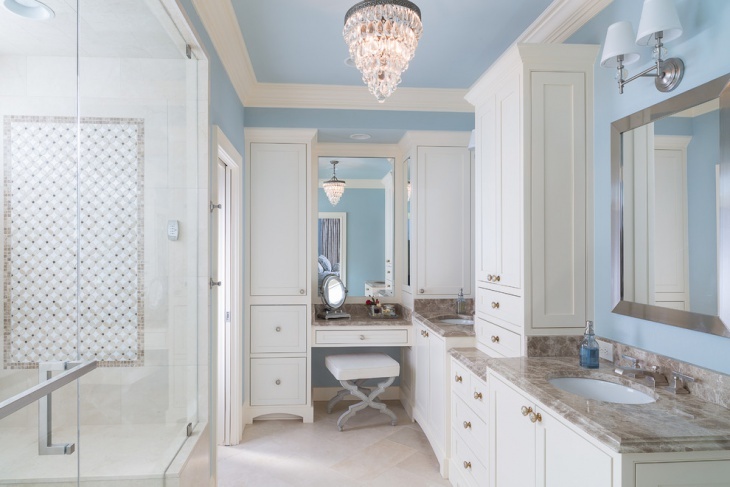 When it comes to the design of a bathroom, you need to personalize the choices to perfection. There are different cabinets that can cater your needs, and you can choose them from a variety of available designs. 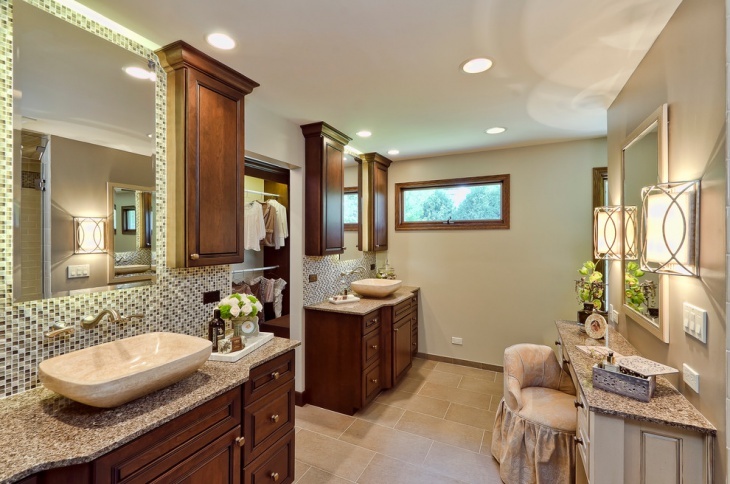 The shape and dimensions of the bathroom determine the nature of cabinets that you can avail. Well, when there are so many choices, you may find it difficult to choose a particular one. So, here are ten great ideas for designing the bathroom base cabinets and you will definitely like these ideas. This is a sophisticated wash basin Bathroom Cabinet that comes to you painted in the wood colors. This is an offset sink and the modern crown moulding makes the bathroom look beautiful. The closet system in the cabinet will come handy to you. This particular setting is ideal for a laundry. There are tiles along the borders of the room, and the porcelain tile bath is a sophisticated piece of accessory that you can install in the bathroom. The closets are spacious and the white paint makes it compatible to the room. You can boost up the looks of the bathroom when you have hanging wall cabinets. Paint these brown and the designs go well with the well-lit rooms. The dark vanity is compatible to the white walls and light floor tiles. Cover up the walls with mirrors to make the room bright. 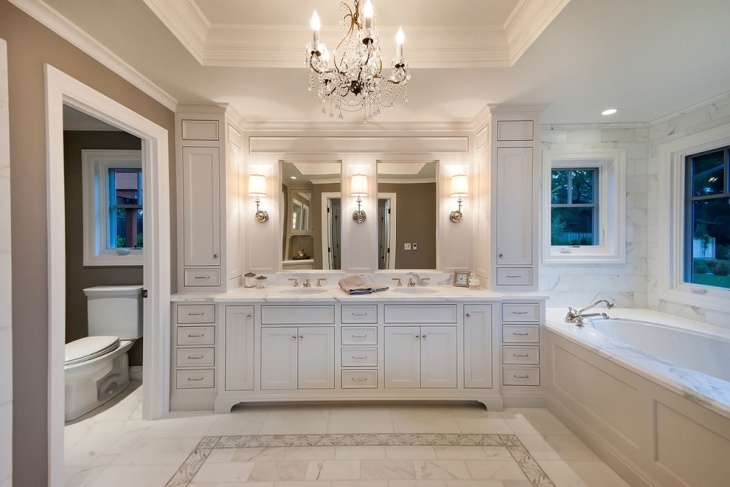 When you crave for a master bathroom, you can get in touch with this type of cabinets, close to the floor. Paint them dark brown and this will have a good match with the white walls. Paint the windows white and get some indoor plants that will make the bathroom beautiful. When you look out for the best setting for outdoor sink and toilets, you can incorporate this idea. 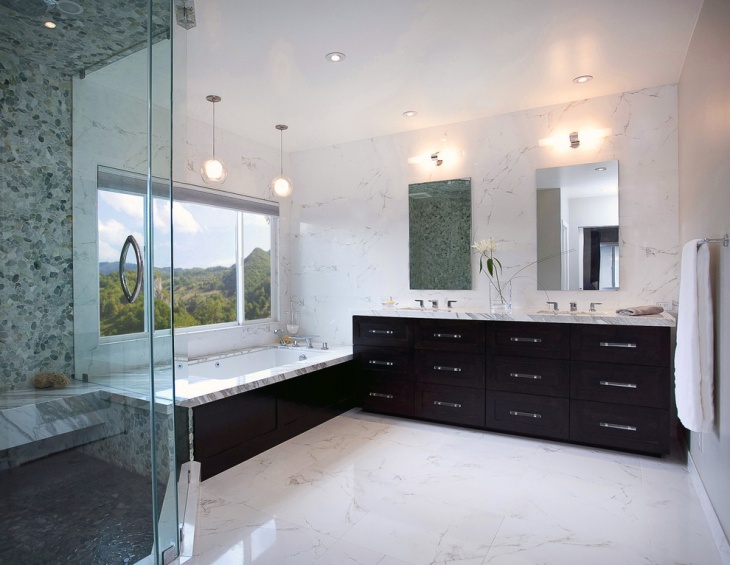 It comes to you with a frameless horizontal mirror and bath shower enclosure. Get black cabinets all under the mirrors and use a white countertop above it. 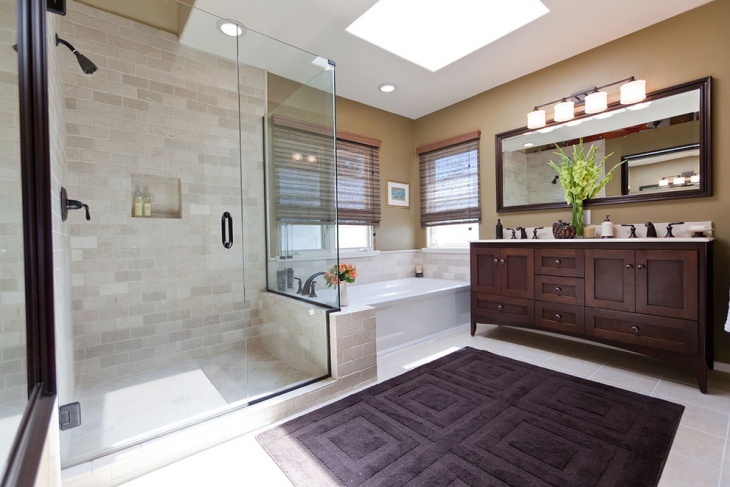 This is the ideal choice if you are looking out for a spa-like bathroom. The wall mounted vanity has a floating mirror. Paint the cabinet in dark brown to get the most modern looks. A large glass door and a few indoor plants will make the room complete. 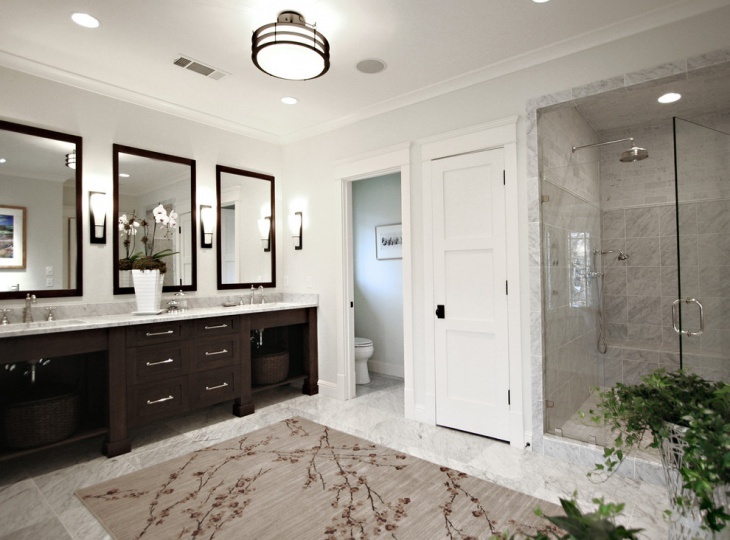 The brown and grey colour combination is a good choice when you want an elegant bathroom design. 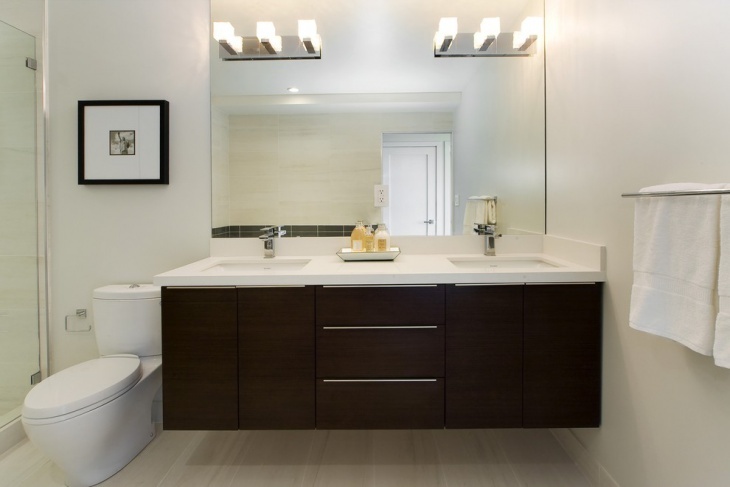 Use brown frames along the mirrors and matching colors for the cabinets. 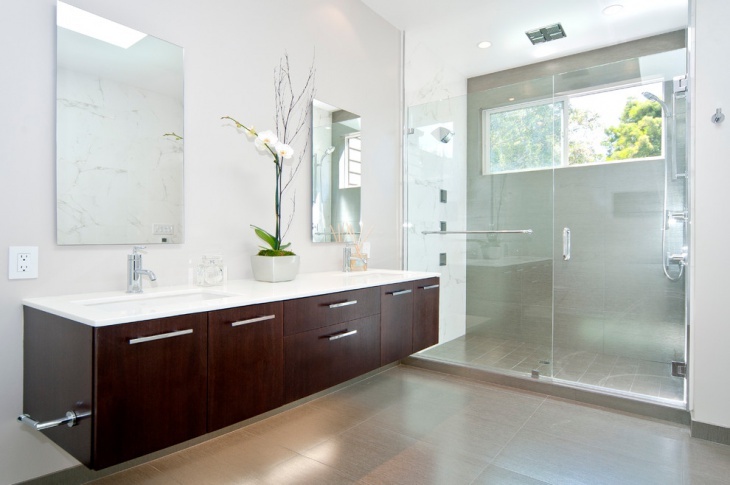 Glass doors and spotless white walls complement each other. 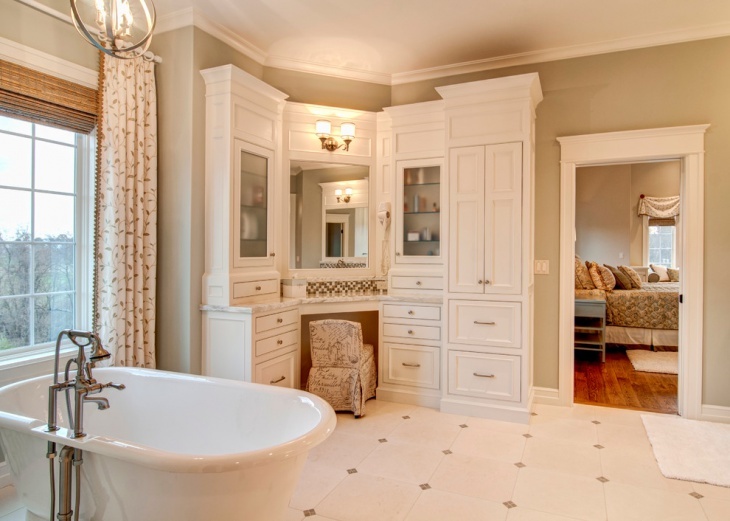 You may like this traditional bathroom idea with separate toilet and a sink with base cabinet. 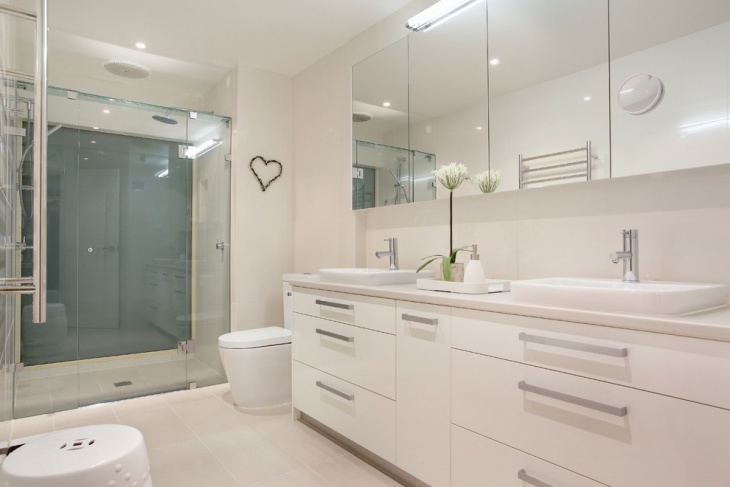 Apart from serving as a good storage space, it will enhance the elegance of the bathroom. 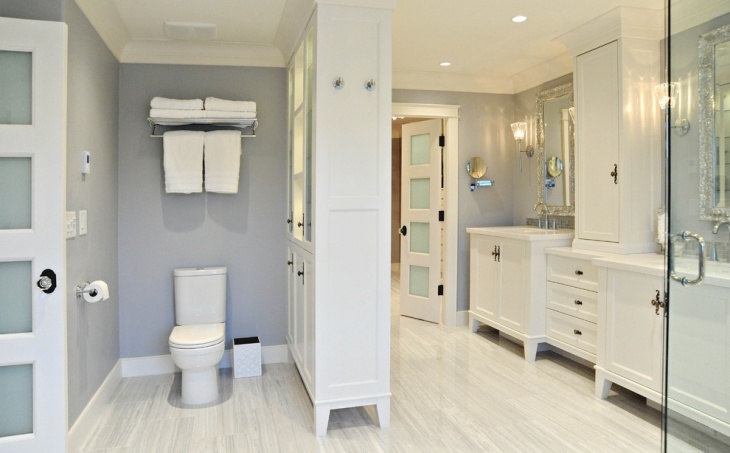 Paint the bathroom white and use white marbles for the floors. This will go well with the white cabinets. Well, you may use your own ideas when you match up the wall and floor colors with the cabinets. Always make sure that you maintain the compatibility with the elements of the interior.